» TCTF Regional HQ MOD 3.4 (Released) - big battles script! TCTF Regional HQ MOD 3.4 (Released) - big battles script! TCTF Regional HQ MOD 3.4 --- big battles script! Re: TCTF Regional HQ MOD 3.4 (Released) - big battles script! Hmm! I'll try this soon. I hope you guys appreciate that this is the largest script that anyone's ever written for Oni by far. Hopefully this will work better in my Intel build, the old Mac build didn't have enough BSL capabilities to run this mod. the script is not complete yet, do not forget this is only beta. And my old PC can run it very well, CPU is core2 T5200 and Integrated graphics. can we have a description of what it does exactly ? 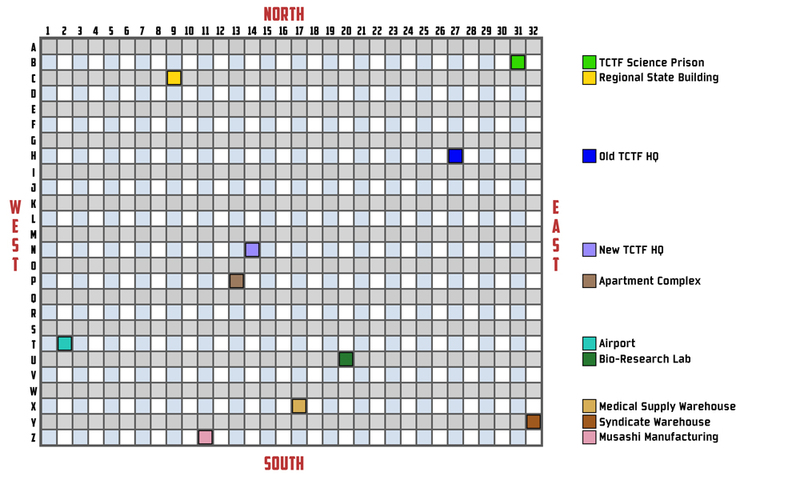 It changes the amount, difficulty and position of many troops (including TCTF) in the first TCTF HQ mission. This is really an amazing work of coding. Beta version the BINACJBOCharacter.oni file has some problems. -At first savepoint there are 1 black tctf trooper which is unkillable. The mod is a bit confuse at a time we are attacking Syndicate in other the TCTF. Maybe was just me which didn't got it yet, since I haven't finished it. This a awesome job btw. Good work. Still an awesome and gigantic mod. btw seems we are constantly changing side because it allows us to "live" both moments of the assault to tctf base like kidnapping Shinatama. That's awesome. Don't that happen already when we kidnap shinatama? If not it's a good idea. Hi, new here and have been thumbing about(Which of course means I probably stuck my thumb into things haphazardly). Just wondering if this mod is supposed to loop in perpetuity or if there's a way to end it. I've gotten the message "You win" a few times, but then things start over again the moment I exit the HQ via the roof. Hi, and welcome MoonSpot! Your question is a good one. The mod never seemed to fully work for me, so I haven't played it through. Looking at the BSL, it seems that the scenario was originally intended to loop after Barabas is beaten on the roof, but the command that would reset the level was commented out (line 1617 of tctf_save6.bsl). Did you have that fight with Barabas? Did the game say "-You win-" in bold (line 1618), or "you win" in regular text? Because the second message is found on line 247 of tctf_save6II.bsl. Maybe someone who has the time and some BSL experience can look into this mod and see if it's working right. The BSL code is difficult for me to follow at a glance. Hi, and welcome MoonSpot! Your question is a good one. The mod never seemed to fully work for me, so I haven't played it through. 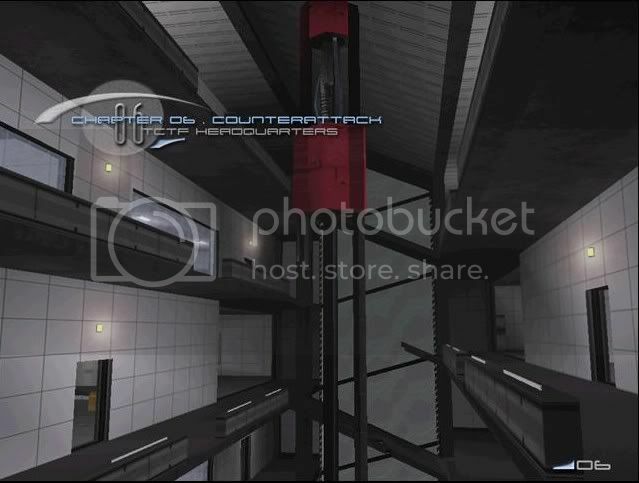 Looking at the BSL, it seems that the scenario was originally intended to loop after Barabas is beaten on the roof, but the command that would reset the level was commented out (line 1617 of tctf_save6.bsl). Thanks ! I did beat Barabas 6 times iirc through my progression through the loop. That's twice per instance. Once on the rooftop /w sinitama-helicopter as per vanilla, and the 2nd instance is supposedly the final enemy for the loop. Thats not the case however since you need to move through the stage to leave the area and in doing so Konoto re-trips some spawn points and you're forced to repeat part of that loops instance. Even trips up the comments the mod sends to the player by informing them to "follow the team", but the team has despawned since ya already "won". Earth-quaker spam cheese dude: "You can never escape me." Konoko:"Who says I want to escape?" Did the game say "-You win-" in bold (line 1618), or "you win" in regular text? Because the second message is found on line 247 of tctf_save6II.bsl. Maybe someone who has the time and some BSL experience can look into this mod and see if it's working right. The BSL code is difficult for me to follow at a glance. Almost certain I got "-You Win-" each time, but not positive if that was the case for each instance of the loop I went trough. The loop itself wasn't the only issue I was having, had repeatable and predictable crashing which I suspect was partly due to soo many NPCs in close quarters and too many of them doing their flashy moves at the same time. At least 10 times it crashed in a particular spot when the last hit from Sledgehammer Heel combo would connect, but only when there was a cluster frack of characters in a hallway in an all-out free-for-all. When the numbers were smaller, things seemed perfectly stable. I've uninstalled this mod, and so far haven't encountered any other problems, but thats not to say I won't or that this mod was the cause(of the crashing). Just that because it places soo many characters in tight quarters that it may more easily have brought problems to the surface. I can re-install it once I figure put how to gather info from the game in a computer assisted empirical fashion rather than my feels and suppositions. Anyhoo, was a blast while it lasted. Just don't think I can leave it in my load order. Actually it's the line that would loop the scenario which seems to be commented out, which is what's strange. Assuming that line is actually commented out in your version of the mod as well. It's possible that gmsly did intend the mod to loop, but I also see a couple calls to "win", which is the function that ends the level and displays the mission complete splashscreen, so the looping is probably a bug in the code or trigger volumes as you suggested. As far as crashing due to lots of activity on-screen, that is a known problem that occurs when there are a number of mods installed, particularly mods that add particles, such as appear during "flashy moves". You can reduce the odds of crashing by limiting the number of active mods. I always wanted to have a safety feature in the AE Installer to prevent particle class overload, but it hasn't happened yet. The problem was fixed in the Mac Intel build of Oni, but not in Windows Oni.